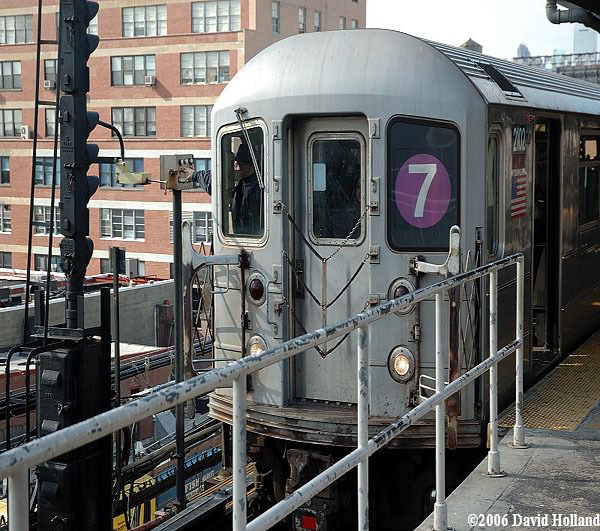 Following an A/C power failure affecting signals along the Flushing Line, service has been restored between the Flushing – Main Street Station and the Times Square Station in Manhattan. There is no Main Street bound Express service at this time. All trains are running local. Customers should expect some residual delays in service. We apologize for any inconvenience and thank our customers in advance for their cooperation. So the good news is that 7 train service is back in time for the rush hour. The bad news is that no express service will be running for what might be the entire rush hour period. Some interesting notes as to what caused the complete loss of 7 train service. The complete loss of 7 service starting at approximately 1:35 p.m. was due to an electrical power failure to some signals along the line. This is according to the New York Times City Room Blog which has been on top of the entire situation. I did not get a chance to check out their blog today as I usually do. So I would like to thank Second Avenue Sagas who was also on top of this alert for the tip.